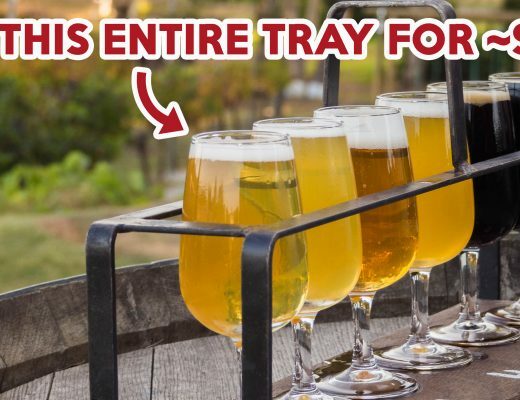 As a self-proclaimed foodie, I literally travel to eat. 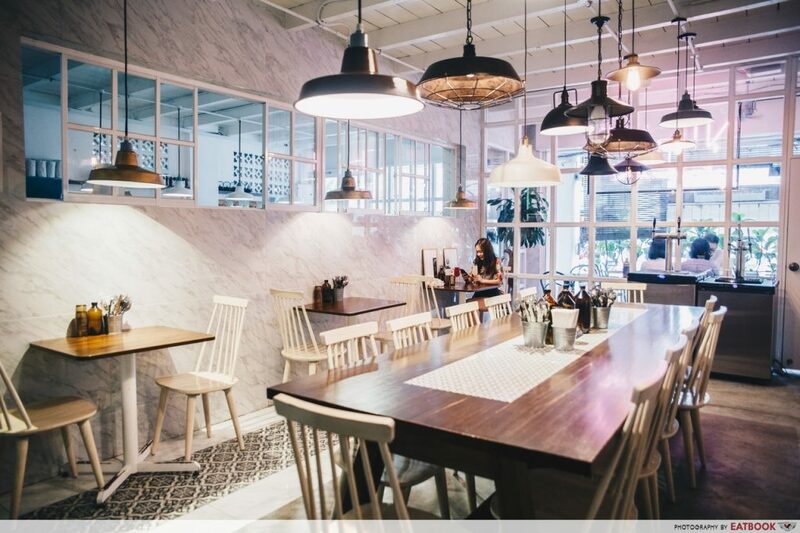 Be it Europe or Batam, my itinerary is always filled with hidden restaurants and cafes to hit up. But it’s not everyday I get to enjoy an overnight getaway, which is why I’m glad Johor Bahru is right next door. 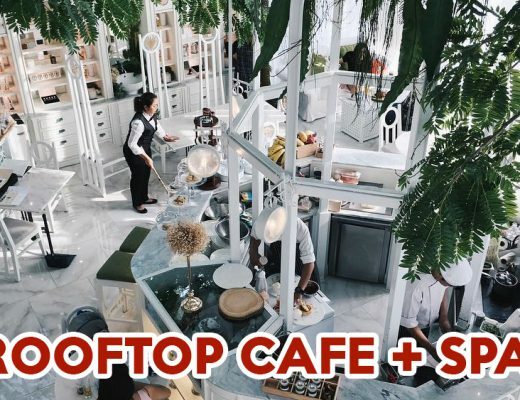 Not only is it a short bus ride away and I can get back home by sundown, but the city is also teeming with cafes, with dishes that are easily a third of Singapore’s cafe prices. 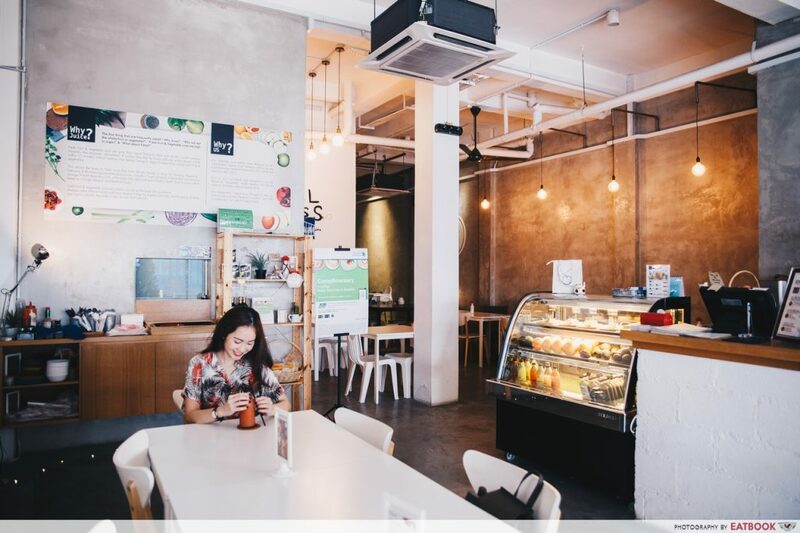 Start 2018 on a right note and pamper yourself with a short trip to these Johor Bahru cafes. Faculty of Caffeine doles out more than just a good cup of joe. Their food menu impresses and includes a decadent Signature Tendon (Unagi) (RM28.90/~S$9.50) topped with various pieces of vegetable tempura and a slab of unagi along with an onsen egg and toothsome sauce. 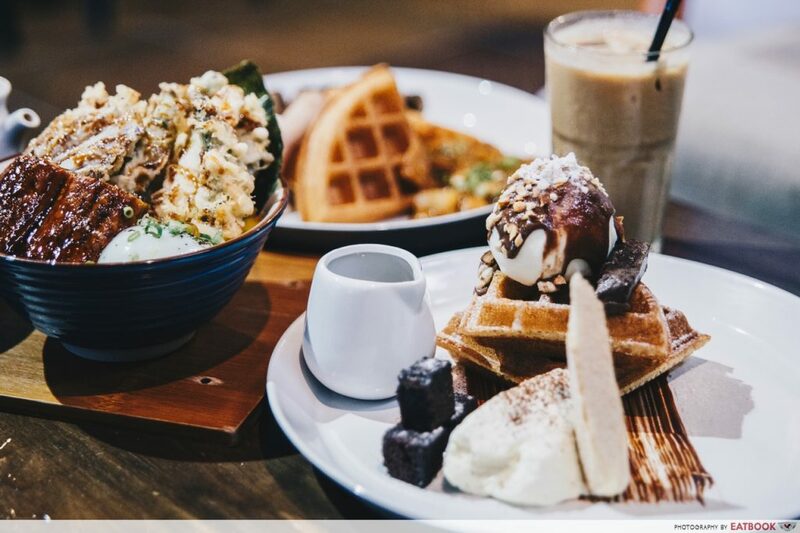 Dessert and brunch items are spot on too, especially their deconstructed Tiramisu Waffle (RM20.90/~S$6.90) featuring fluffy waffles, chocolate brownies, mascarpone, ladyfingers, and vanilla ice-cream. A shot of their freshly brewed espresso is also served on the side for you to drizzle over, giving the sweet treat a bitter, complex twist. Don’t be afraid to order the most expensive main off the menu, as from now until 31 May 2018, Maybank credit card holders get to enjoy 1-for-1 mains*! The Replacement – Lodge & Kitchen is worthy to be featured in Kinfolk, thanks to its floor-to-ceiling windows, whitewashed walls, and Scandinavian lightings. On par with its stunning interior are their sumptuous dishes. 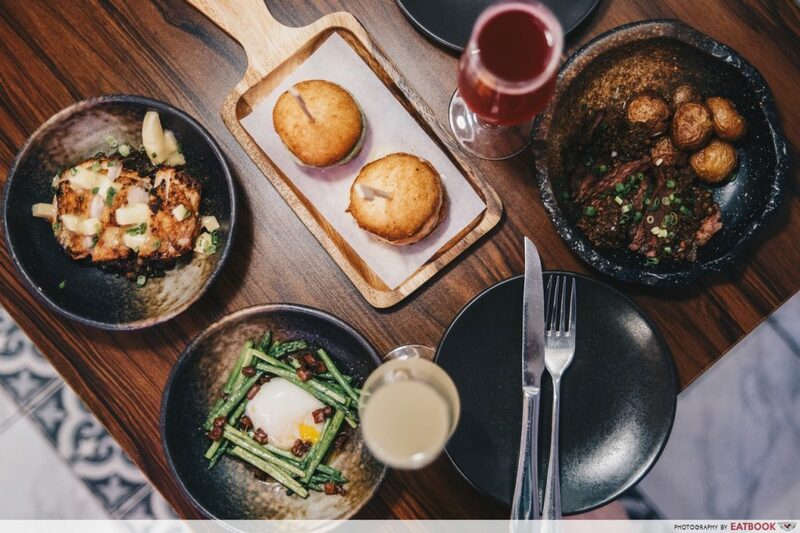 A light but satisfying brunch option is their Soft Shell Crab Bun (RM$29.90/~S$9.70), where crispy soft shell crabs dressed in a chilli aioli sauce are nestled between pan-seared house-made bao. If you happen to head down on a Friday or weekend night, check out their tasty tapas. A must-try is the Beef Steak (RM28/~S$9.25) with baby potatoes, which is a steal considering its price. Maybank Cardmembers get to enjoy 1-for-1 tapas* too, allowing you to share more dishes with your squad. The offer is valid till 31 May 2018, from 7pm to 11pm, on Fridays and weekends. 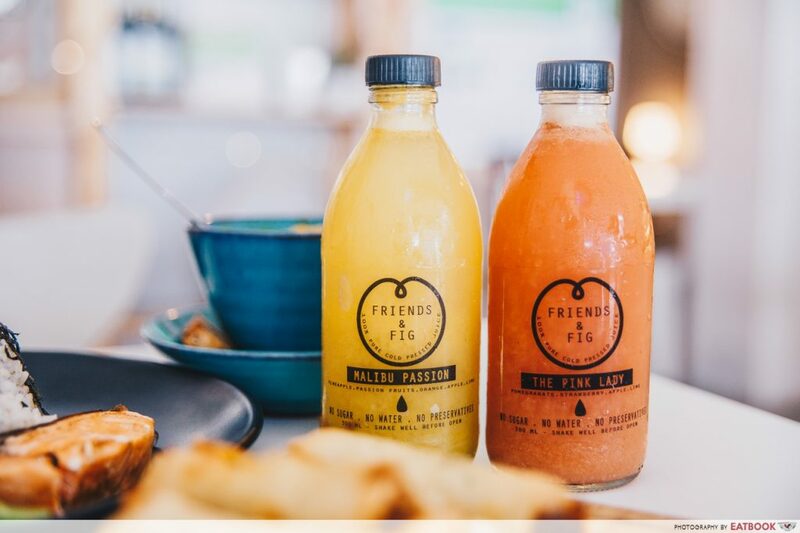 Refresh yourself with one of Friends & Fig’s invigorating cold-pressed juices. At RM15 (~S$4.95) per bottle, they have a wide array of tasty concoctions such as Malibu Passion, which offers a mix of apple, pineapple, passion fruit, orange and lime. 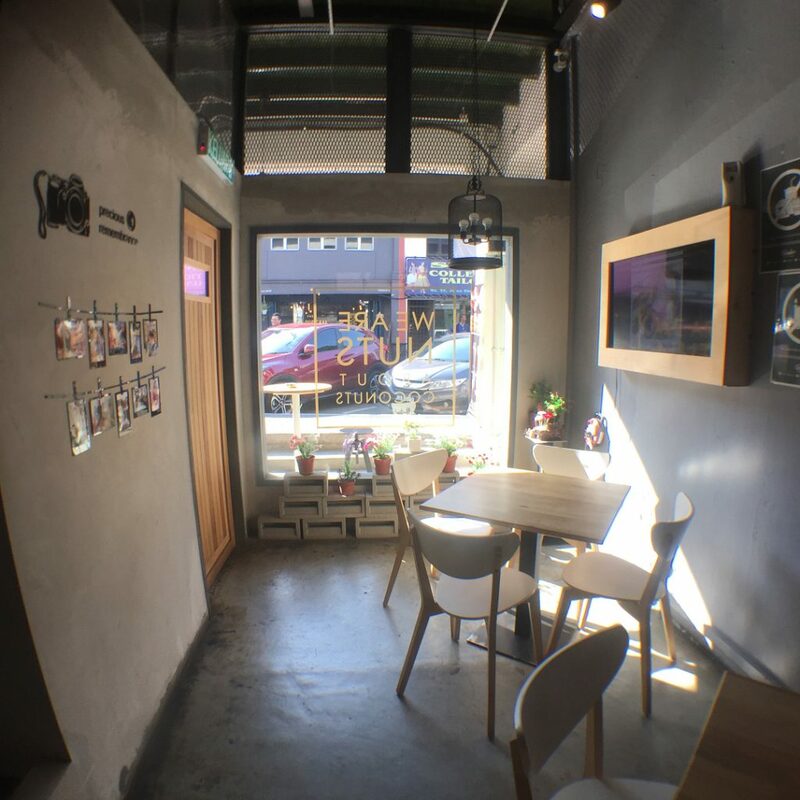 Food-wise, try their Roasted Pumpkin Soup (RM12/~S$3.95) that comes with chia seeds! They also have mains such as Smoked Salmon Bagel Sandwich with Chips (RM18/~S$5.95) and F&F Vegetarian Tomyam Soup (RM16/~S$5.30). To boot, if you have a Maybank credit card, you get to enjoy 20% off any cold-pressed juices*, as well as 15% off your total bill* when your dine-in bill hits $100 and above. 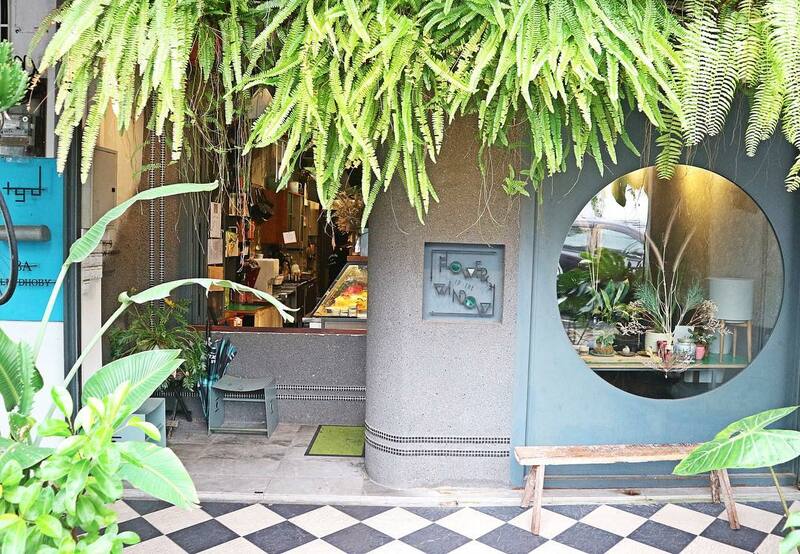 Both a specialty grocer and a chic restaurant boasting elegant fittings, take your pick of fresh produce before having them whipped up into a meal at Eugene’s Grocery. Giving you more bang for your buck is their monthly promotions featuring a selection of exciting dishes. 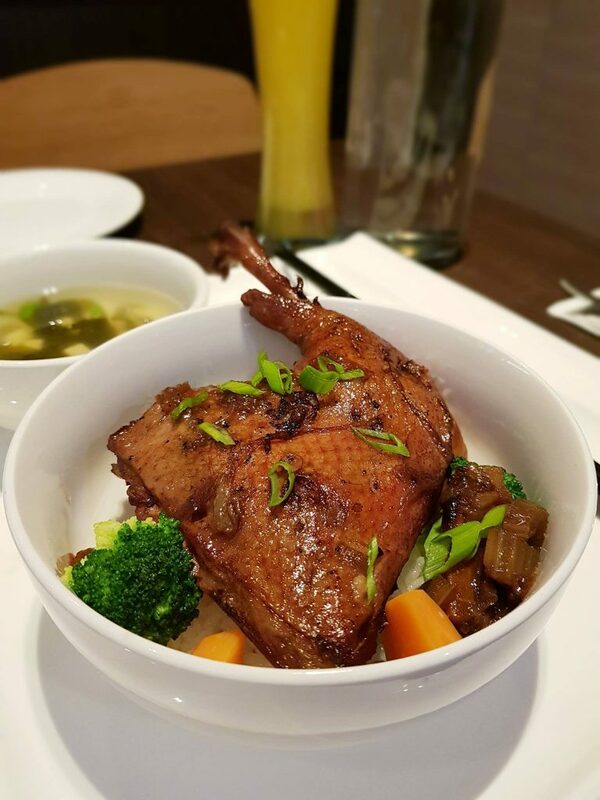 Recently they had an Oriental Set Lunch (RM25/~S$8.10, with free soup and tea) that comes with a choice of five dishes including a succulent braised duck leg with Japanese rice as well as a beef bowl. Spend a minimum of RM50 in a single receipt and save up to 15% off your total bill* when you pay with a Maybank card. 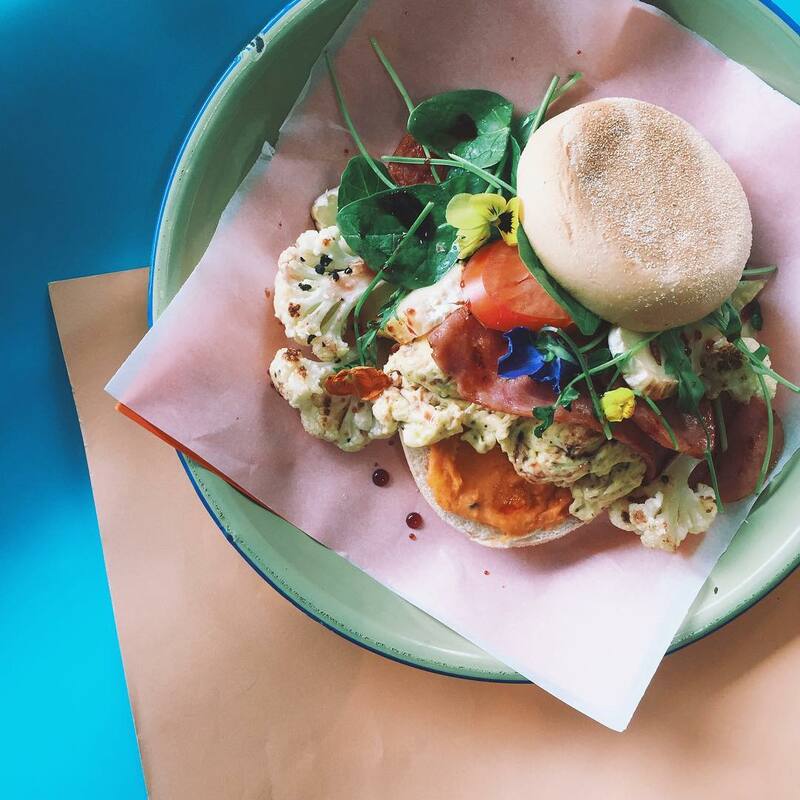 Opened by the guys behind the famous Roost Café as well as See and Saw, Flowers In The Window serves up quality nosh in a two-storey space that’s decked with pretty blooms. For a healthy yet tasty eat, order their Cauliflower Super Breakfast (RM24/~S$7.80). Nestled between two fluffy English muffins is a roasted cauliflower topped with scrambled eggs, turkey ham, grilled brie cheese and sweet potatoes puree. Be sure to check out their dessert display showcasing a selection of delectable cakes too. 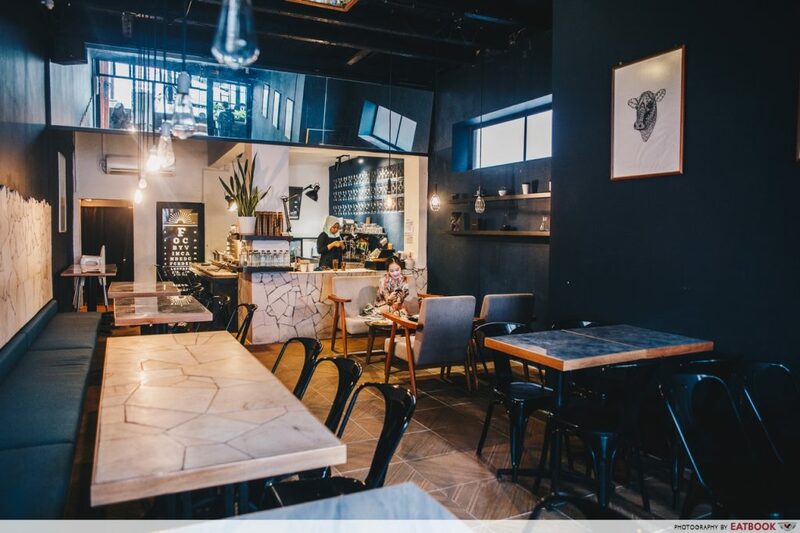 Both a fashion boutique and cafe, Bev C’afe is a chic joint patronised by those in the know. 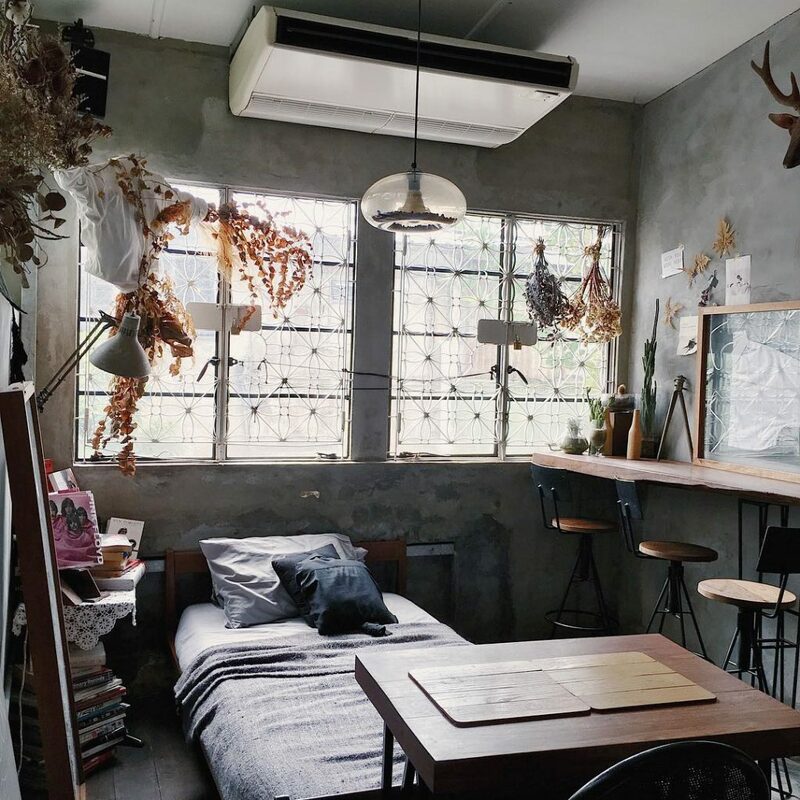 Now, don’t feel intimated by the designer clothings that greet you as you enter the shop; stay calm and casually walk through to the staircase located at the back – the cafe is found on the second floor. And yes, there’s a bed up there for you to take a snooze on too. 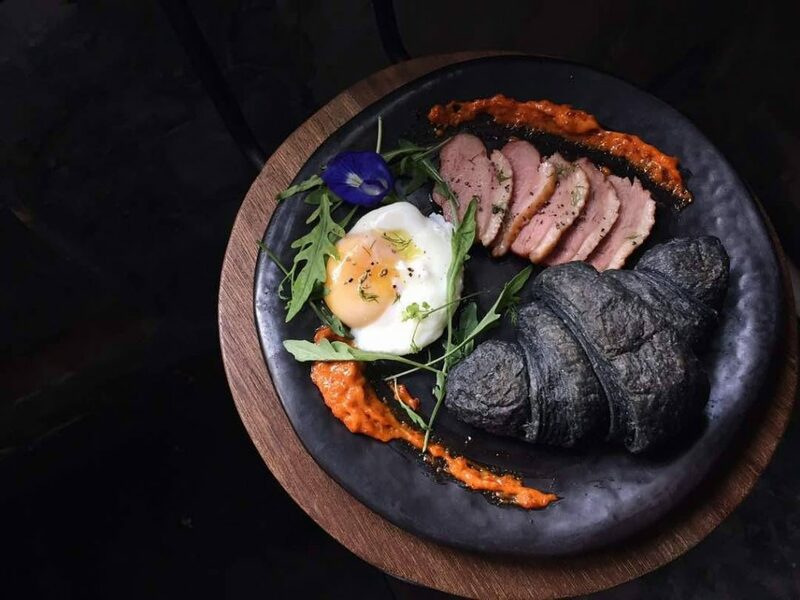 Black never goes out of style, and their menu employs this philosophy with a range of black items including an iced black latte (RM14/~S$4.60+) and Rasa Sayang (RM23/~S$7.50+), a charcoal croissant with house-made sambal, prawn mayo sauce, smoked duck, poached egg and wild rocket. Cool down after a day of shopping at the quaint Sangkaya. 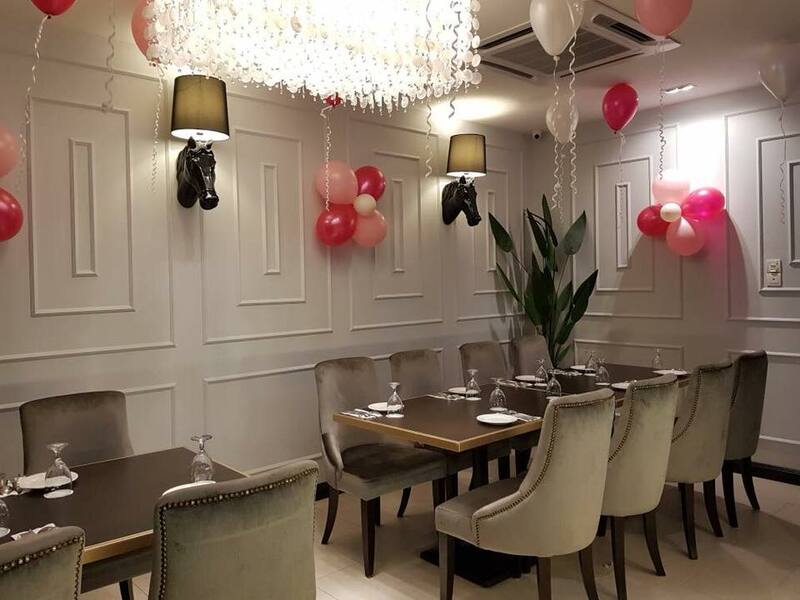 The creamier has a warm, cosy vibe that’s great for catching up with friends or just winding down after a day of shopping. 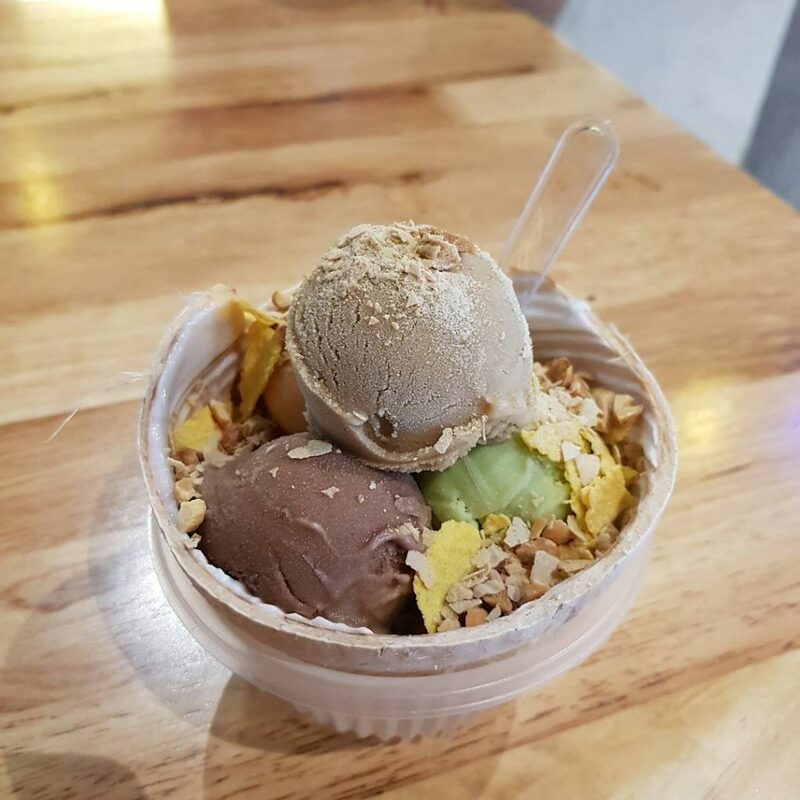 On every table you will find their best-selling Signature (RM14.60/~S$4.70), featuring four scoops of ice-cream of your choice – coconut, gula melaka, mango, Thai ice milk tea or green tea – in a fleshy coconut husk, alongside three toppings. Finding ice-cream at about S$1.20 per scoop is almost impossible at cafes in Singapore, so remember to hit this place up before going home! Explore Johor Bahru with Maybank Cards! Take a short break this weekend and cafe-hop around Johor Bahru with your Maybank Credit or Debit Card. 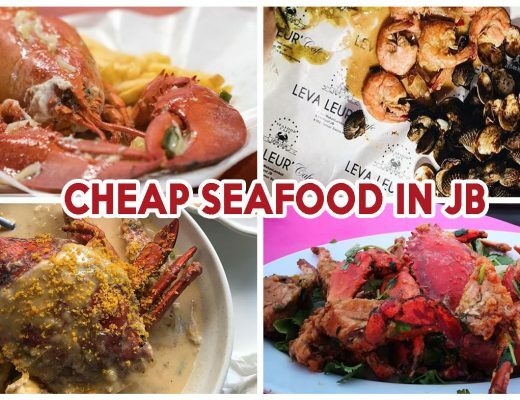 Offering up to 50% off dining privileges in JB*, this is the ideal card for you to eat your way through JB without burning a hole in your pocket. To top it off, Maybank Horizon Visa Signature Cardmembers are able to get two air miles (5X TREATS Points) for every dollar spent on foreign currency transactions! This post is brought to you by Maybank. *Terms and conditions apply, visit maybank.sg/jb for more details.